NOSE: I immediately get dark dried fruits like dark raisins, dried figs and dried apple skins. Then baking spices like nutmeg, hints of cinnamon and orange rind. It smells very sweet of brown sugar and un-refined low grade honey. PALATE: Spicy and smooth oak finish. Breathe in gently because the 60.4% alcohol by volume will burn the hairs out of your nose. A little spring water quiets down the bite and brings out an AWESOME SWEET ROUNDNESS. The baking spices intensify and then bourbon characteristics arise. Delicious. FINISH: The finish is deliciously lengthy and stays in your mouth and nose for a while before needing to take another sip. It’s got nice body and weight on the tongue. Reminds me of some fine cognacs in nose and palate. 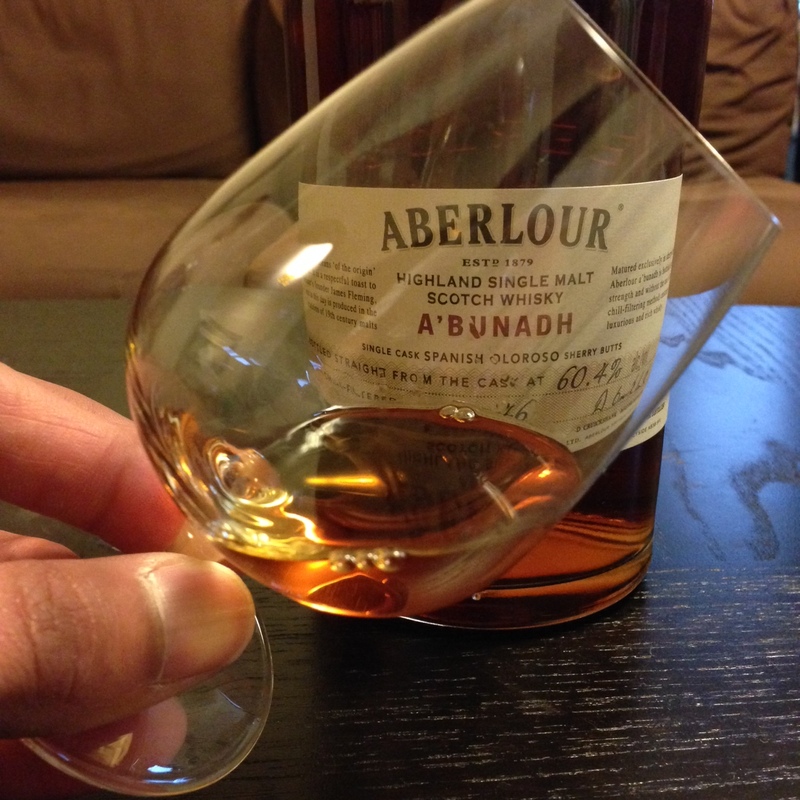 A’Bunadh seems to be the go to for the Aberlour brand and I can see why people rave about it. If you didn’t know what scotch tasted like, but you know you like a good bourbon, A’Bunadh is your go to. A great place to start and a great place to finish your night. 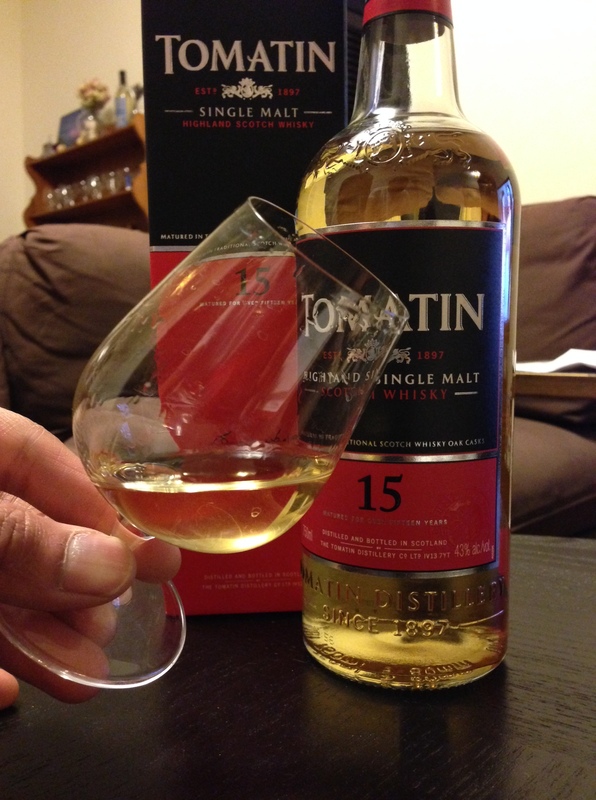 Next Post A whisky by any other name… might not be whiskey!